If you are choosing a guided tour with Toogee Treks, Robert will be your trek leader, he holds a Diploma of Tourism (Guiding) and is the principle partner of Toogee Treks. Based in Newcastle, Australia, Robert is your main point of contact prior and during the treks. Robert will be the person you book with, and the person who will be contacting you in the lead up to your adventure, to ensure you are trek ready. His calm relaxed manner combined with his extensive knowledge of the track, its people, history and geography is crucial in ensuring you have an enjoyable experience. 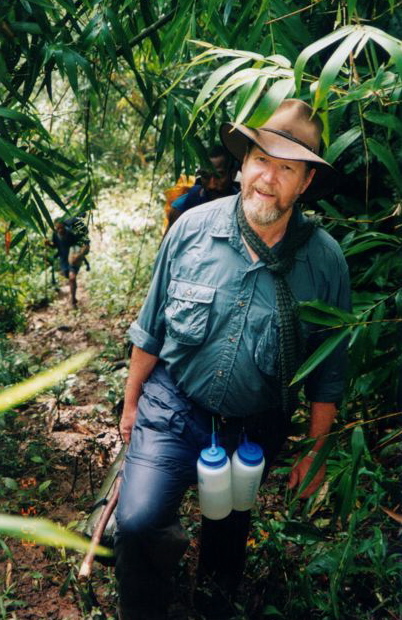 Robert has been visiting Papua New Guinea since the early ‘80s, and did his first Kokoda Trek in 1995 and has since completed 36 crossings. He grew up in the Wattagan Mountains, west of Lake Macquarie in NSW and became an expert horseman and skilled bushman. After finishing his apprenticeship as a butcher, he spent several years working in cattle camps on stations in the far north of Australia, in the Gulf of Carpentaria. Not only will you find it hard to be stuck for conversation in one of Robert’s tour groups, but you will also be in the company of someone with a huge diversity of knowledge and skills.